Havana Club Añejo Clásico is a superb barrel aged rum created in the the classic Puerto Rican style that drinks well as both a sipping rum and as the base of great cocktails that harken back to a simpler time. 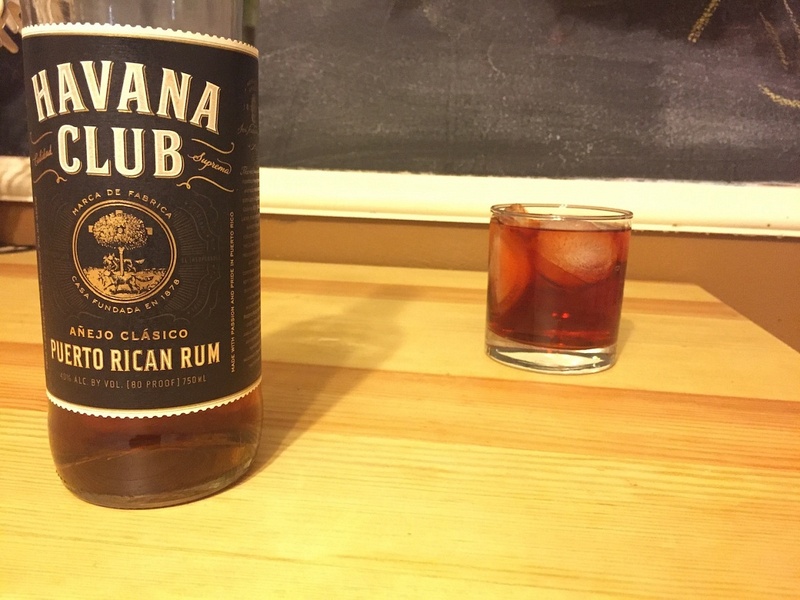 I have reviewed Havana Club Añejo Clásico before on it’s own and as part of a Rum Mule and both iterations were fantastic, so I decided to try it in another classic cocktail that is my personal take on a well-revered prohibition era classic. 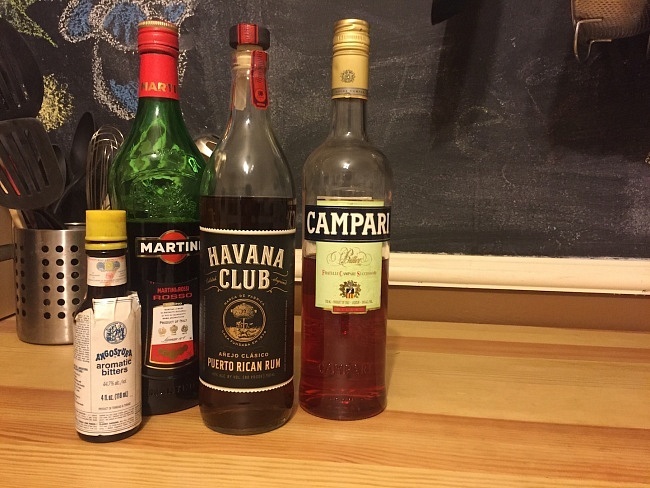 In these past few weeks I have been experimenting with forgotten cocktails from the 1930’s and I decided to pair Havana Club Añejo Clásico with old favorites of the era: Campari, sweet vermouth, and bitters. 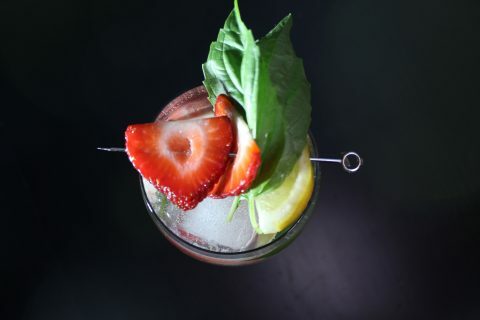 There are many variations of this drink but at its core it is a classic prohibition favorite that would comfortably find itself in the hands of countless ne’er-do-wells across the nation as they secretly protest temperance in the only way they could; by imbibing some of the greatest liquor the world had to offer. 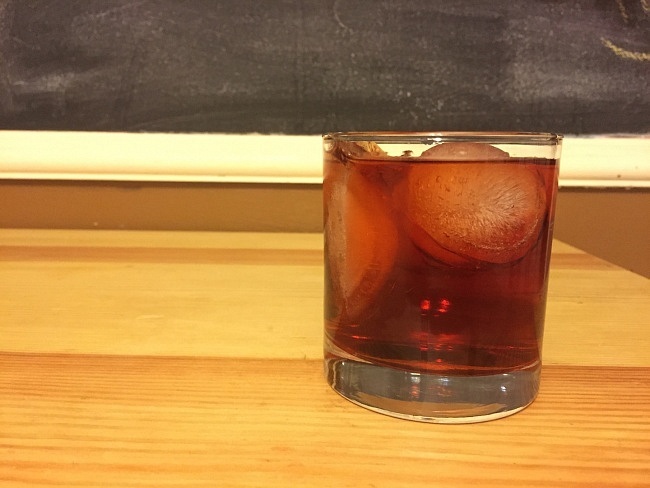 To make my version of this classic add 2 parts Havana Club Añejo Clásico, ¾ part Sweet Vermouth, ½ part Campari, and 2 dashes bitters to an ice-filled metal shaker, stir well and strain over an ice filled glass. The result is a bright yet complex cocktail in both appearance and palette. 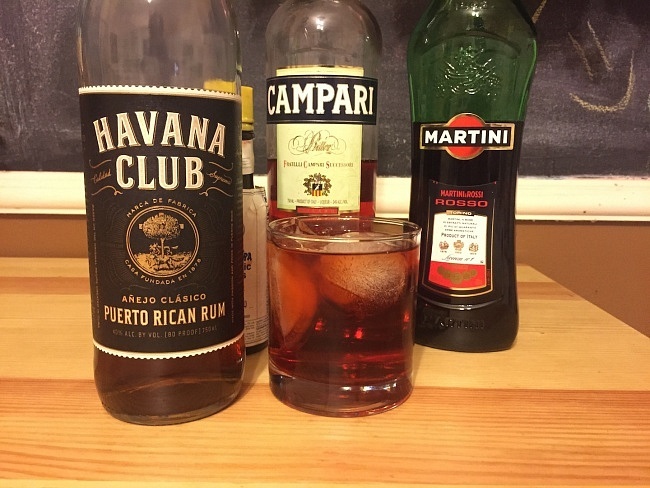 It has the superb base of Havana Club Añejo Clásico accented by the rooty flavor and pop of the Campari and accented with the sweetness of the vermouth that evens everything out. 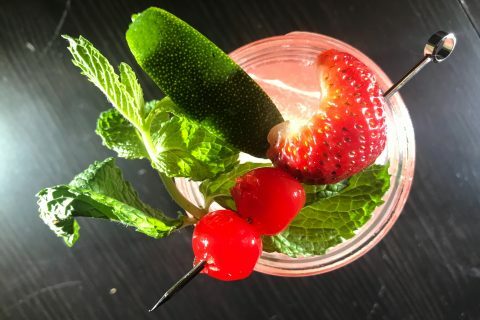 This drink works perfectly as an aperitif best enjoyed as the evening is winding down while you are surrounded by great friends and family in front of a roaring fire. Take a trip back to the sheer extravagance and glamour of the 1930s by picking up a bottle of Havana Club Añejo Clásico and creating this personal take on a classic cocktail; it is something to enjoy with company as the nights turn darker and cooler.